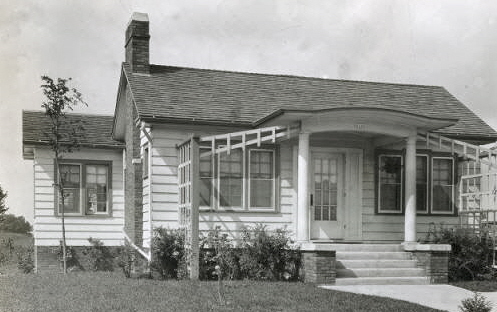 Sears and the other kit home manufacturers sold customers the blueprints for their houses, the pre-cut lumber, and everything else needed--including doors, windows, shingles, and paint. Customers had everything shipped to them and all the framing pieces were labeled for faster assembly. Other people purchased home designs from architectural plan books. A plan book was a huge hardcover catalog with pictures and layouts of all the available houses. But the plan book companies would just sell the customer paperwork--sets of blueprints, a list of all the material needed to construct the house, and sample contracts. The customer was responsible for going to the lumberyard to purchase the lumber and cutting it to the appropriate sizes. Obviously, this was much more time-consuming than assembling a house with pre-cut pieces. It was much cheaper to buy a set of standard blueprints from a plan book company than to hire an architect to draft them. As a result, there are plan book houses all over the United States. 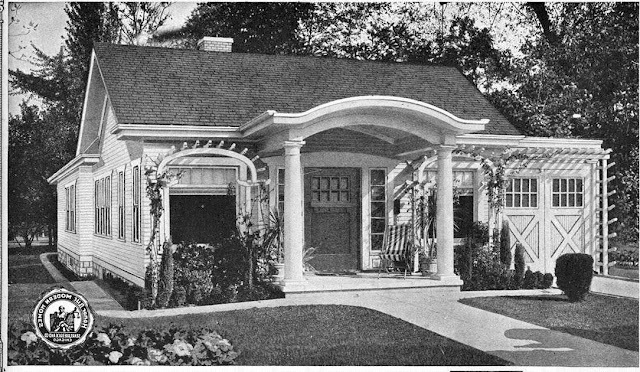 The Home Builders Catalog from 1927. 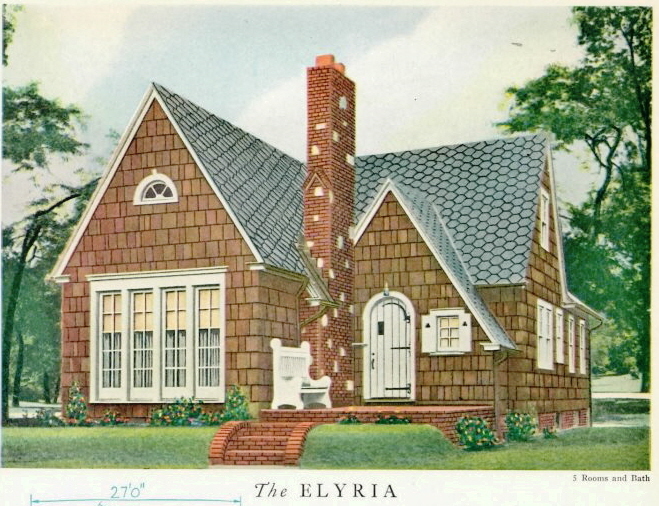 The Home Builders Catalog Co. of Chicago was one of the leading plan book companies. 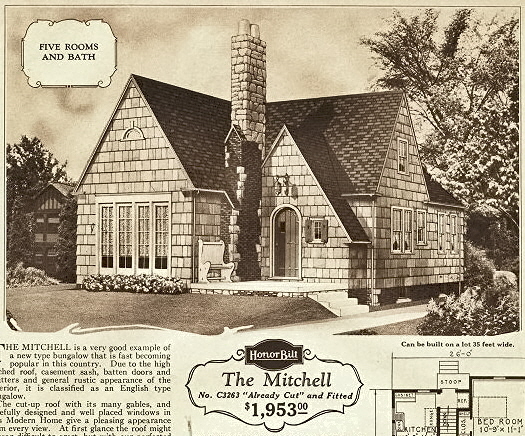 Home Builders Catalog offered many models that were almost identical to the ones offered by Sears, Montgomery Ward, and the other kit home manufacturers. This makes identifying kit homes even more difficult, since it's often impossible to tell the difference between a kit house and a plan book house without a very detailed study. The Elyria from the Home Builders Catalog in 1929. The Sears Mitchell from the 1928 Modern Homes catalog. Telling the difference between certain plan book models and kit house models can be nearly impossible. 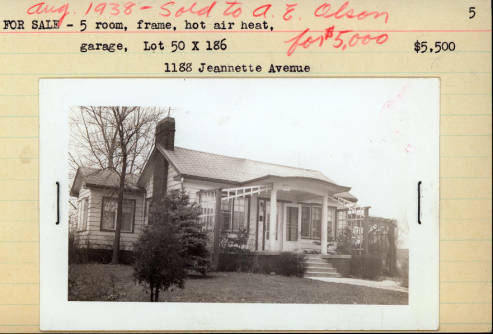 I was browsing through the Des Plaines Memory site and came across this old photo of a house. It definitely was inspired by the Sears Ardara (or vice-versa). Sears Ardara. Similar, but not a match. Leave it to kit home researcher Rachel Shoemaker to figure out the model was from the 1928 Home Builders Catalog. 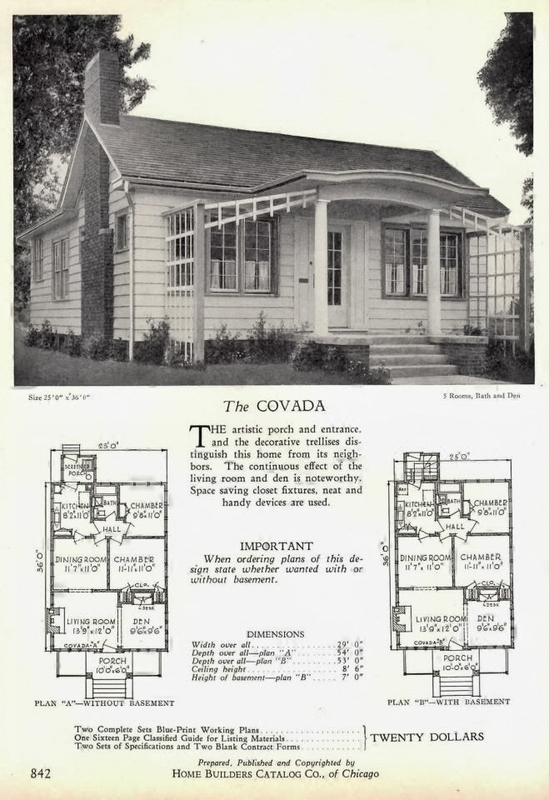 The Covada from the 1928 Homes Builders Catalog. Scan courtesy of Rachel Shoemaker. Even the trellises match! However, the house in Des Plaines has an addition off the left side in the dining room/kitchen area. 1184 Jeannette as it looks today. This Covada was built by a developer, W.L. 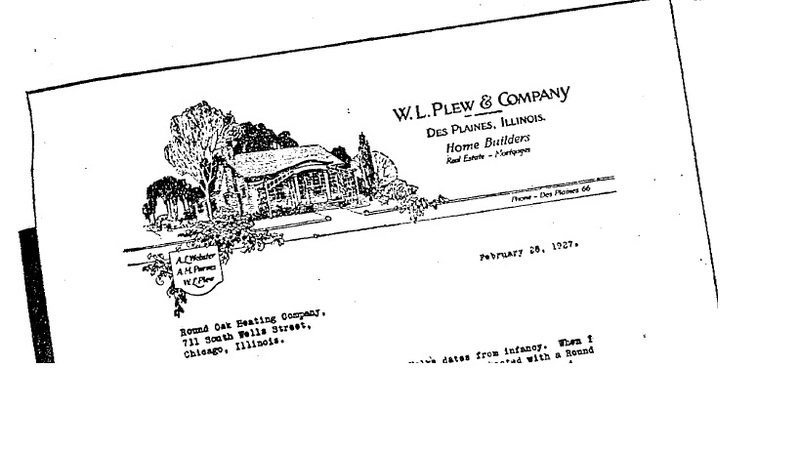 Plew, who built dozens of houses in the Des Plaines Gardens subdivision (today called Westfield) . I would bet many of these houses were built using blueprints ordered from a plan book company. Another photo on the Des Plaines Memory site provides some provenance. Interestingly, W.L. Plew & Company used an illustration of the Covada on their letterhead... but not the one they built (the house in the illustration is lacking the addition). This illustration is taken directly from the Home Builders Catalog. Thanks for the mention of the Des Plaines Memory site! We're glad that you found it useful.